Brings kids as young as 9 months up to table height. 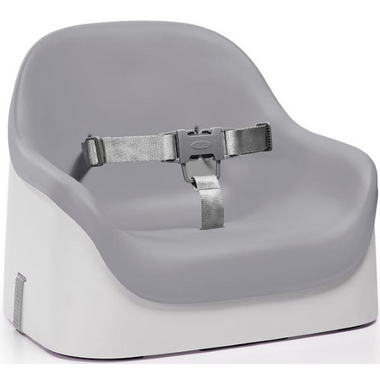 The Nest Booster Seat features a soft cushion, as well as a high back and sides, to make any grown-up chair comfortable for kids. Sturdy, pretty and safe so far! Nice high back, works great for proper posture. Simple and easy to use. It's light enough to carry around. My 15 month old likes to sit in it!